Yep, believe me when I say Sandwich is an English town and not just a lunchtime snack. Although the good old sandwich does derive its origins from here. 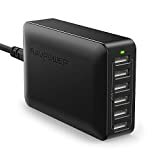 When, the 4th Earl of Sandwich was said to have ordered his valet to bring him some slices of meat, tucked in two slices of bread and "et voila", it all began. 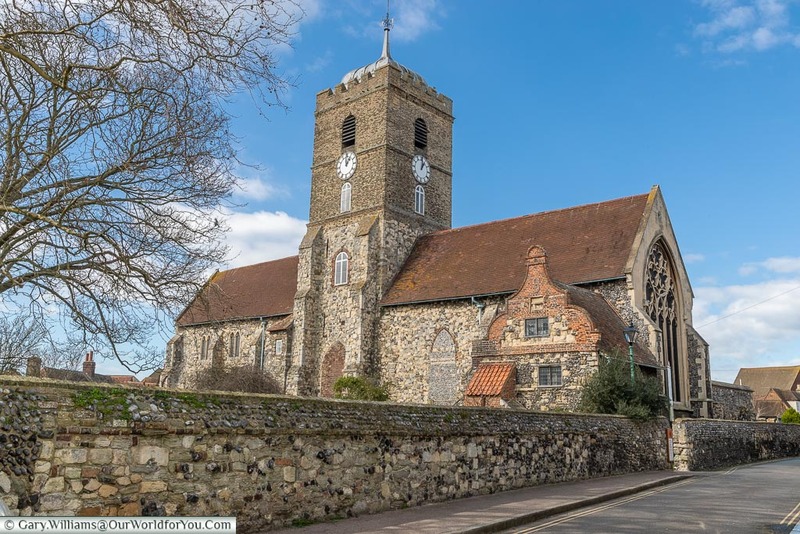 So, what does the ancient town of Sandwich have to offer? 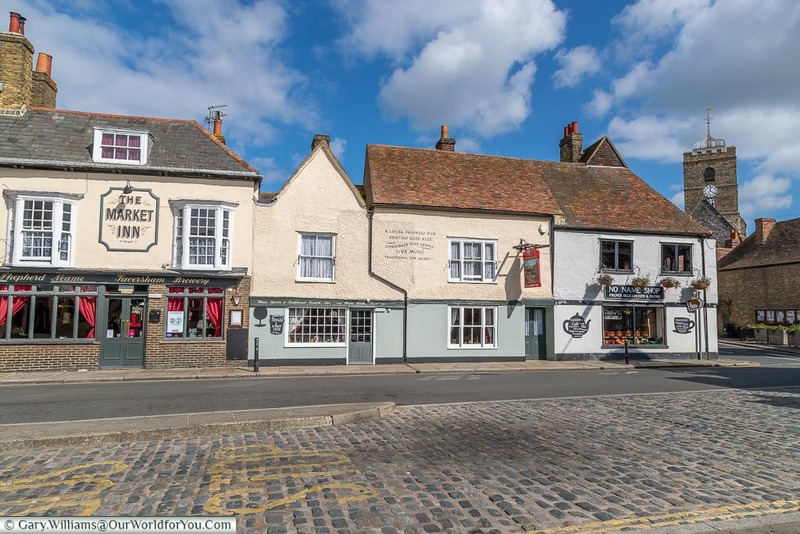 Certainly, when you consider the beauty of Deal and Rye, two other towns that are linked with the Cinque Ports Royal Charter, are not too far away. 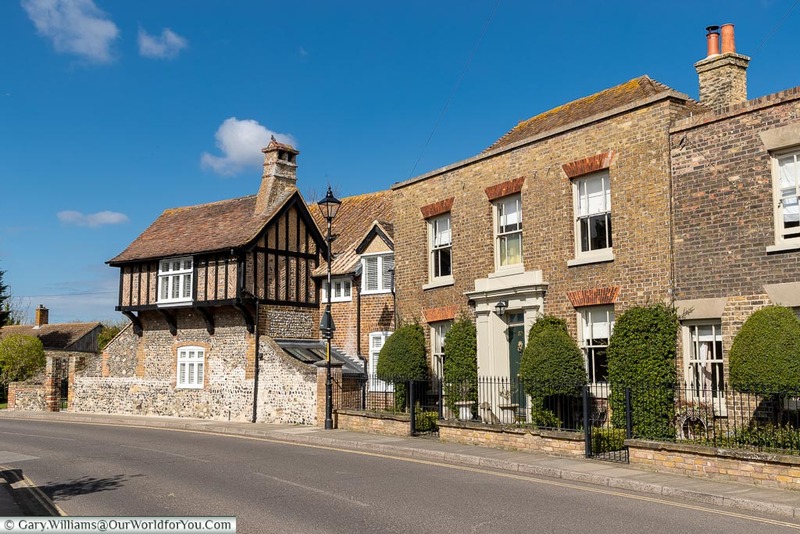 Don’t get me wrong I loved visiting both of them; where Rye is your picture postcard Medieval town and Deal is your quaint historic seaside town. Sandwich offers that little something different from either. 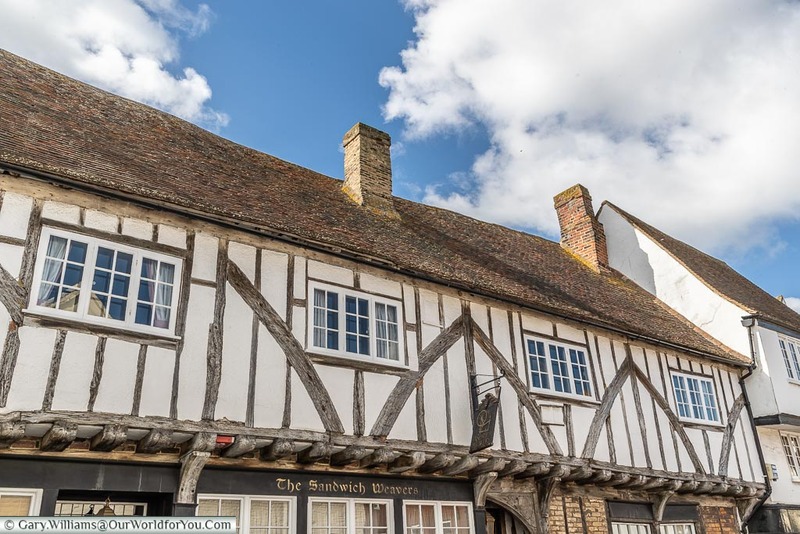 Sandwich isn’t quite as touristy, but that isn’t due to its lack of quaint half-timbered buildings. The town has the real feel of being sustained by its local residents. Coffee mornings in the church, hardware store selling handy DIY items and the chitter chatter on street corners. Although I said, Sandwich is a “Cinque Port”, which was a charter established pre-Royal Navy in 13th-century, to recruit mariners. 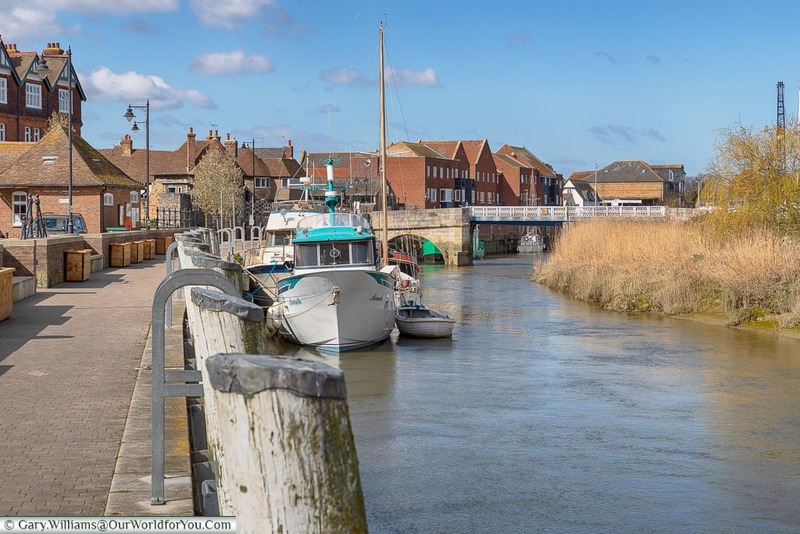 Its ancient town no longer has a direct harbour to the sea, but it’s from the quay here on the banks of the River Stour, that Kings and their armies would have headed off to France to war. We’re all friends now, and Sandwich is twinned with Honfleur in Normandy. 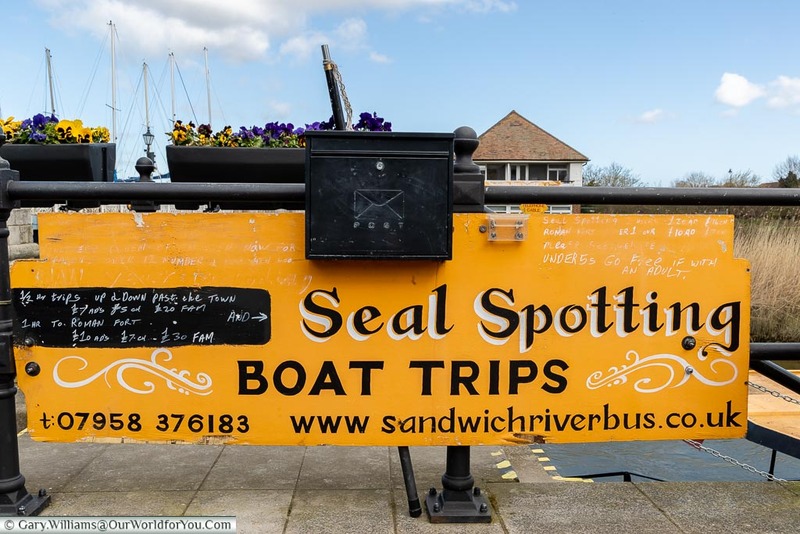 Nowadays along the quayside, you can take a boat trip to do a bit of seal spotting, a little bit more sedate, I think. 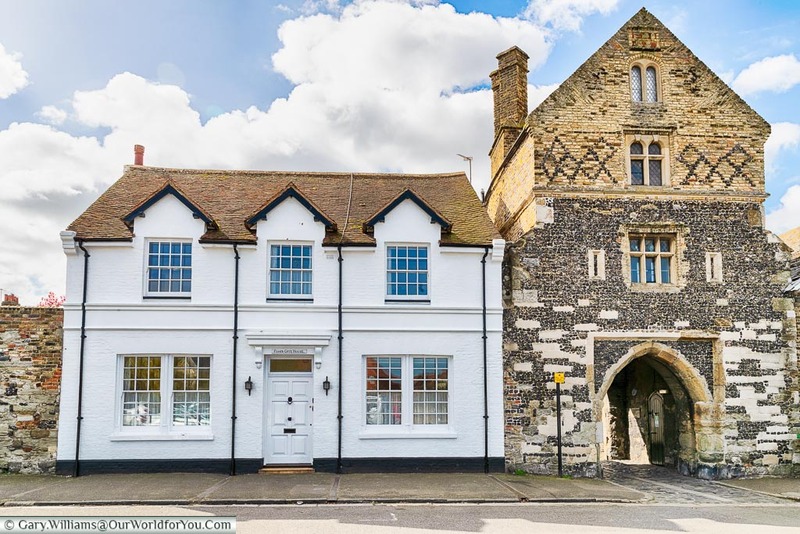 My first reaction of Sandwich was the number of historic buildings, they are so well maintained and from so many different periods in history. 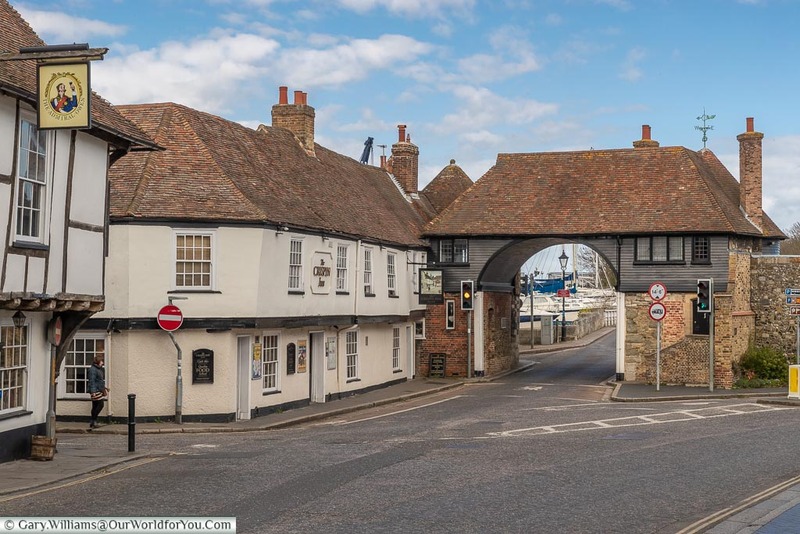 The Fisher Gate along by the quay dates from 1384 is the only one of the Medieval town gates to have survived. The site of the old Canterbury Gate stands next to Gallows Field, and we can only imagine what went on there. 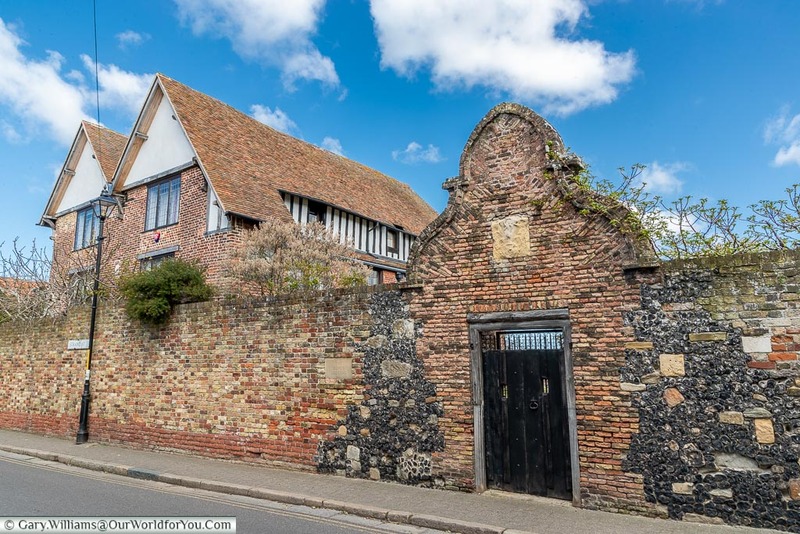 Just by the River Stour bridge is the 14th-century Barbican Gate and Tollgate. From 1759 until 1977 tolls were collected for crossing the bridge. Prices differed depending on the size of your chariot or Landau and how many horses or oxen you had. 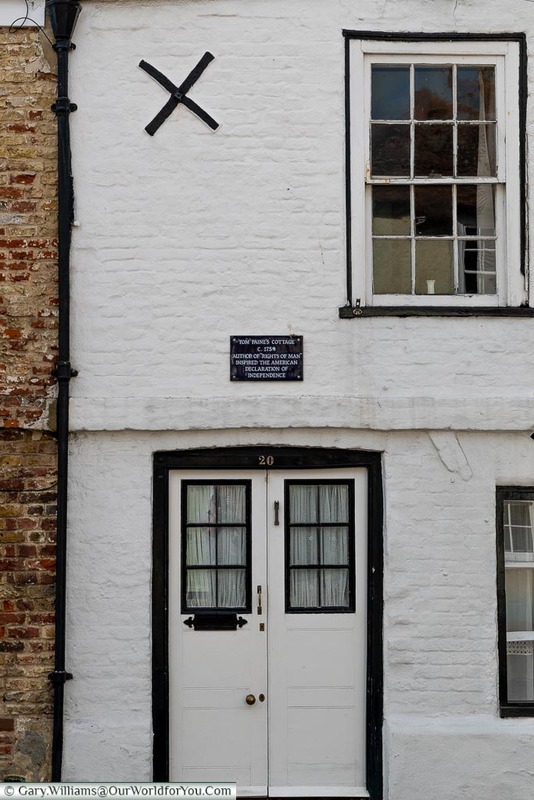 Stroll through the Barbican Gate, and you’re greeted with even more ancient listed buildings. Just within a stone’s throw are three public houses. 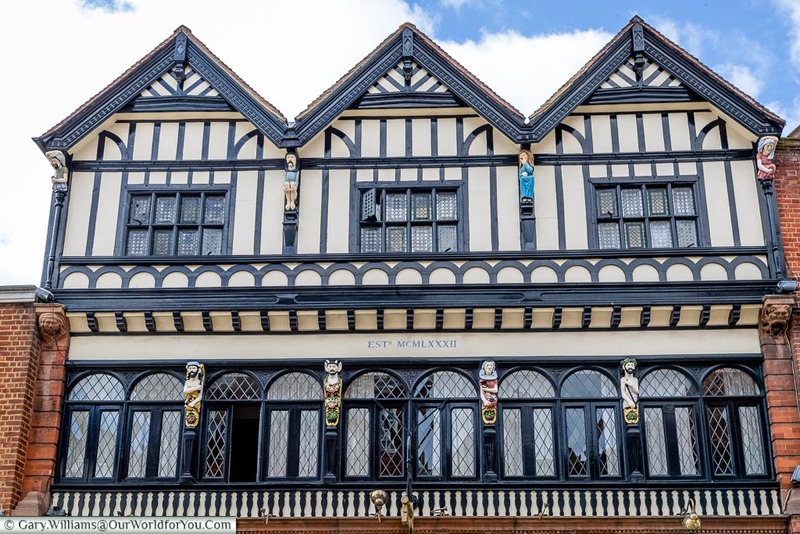 The Admiral Owen a 15th-century timber-framed building. 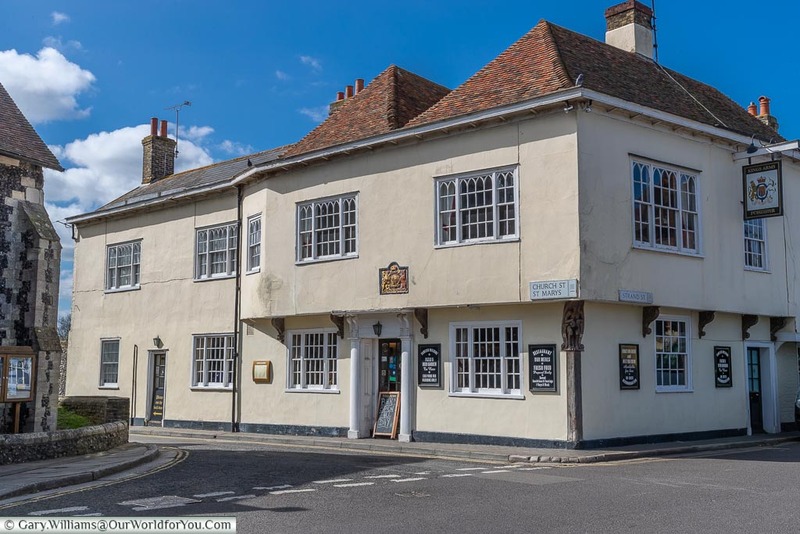 The Crispin Inn, which dates from the 16th century, and across the road on the quay is the Bell Hotel. 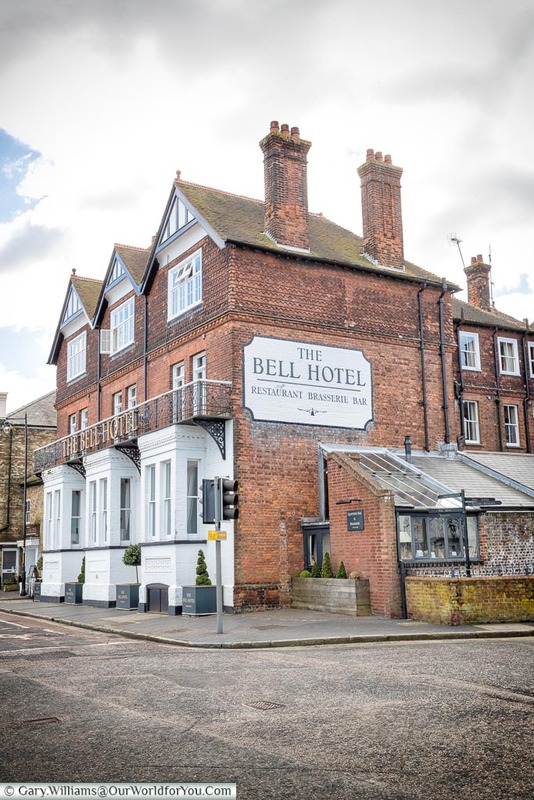 Extensive restoration has been undertaken over the years; however, there has been a Bell Inn on the quay since the 14th century. I couldn’t make my mind up which lane to head down first, as they were all so inviting. 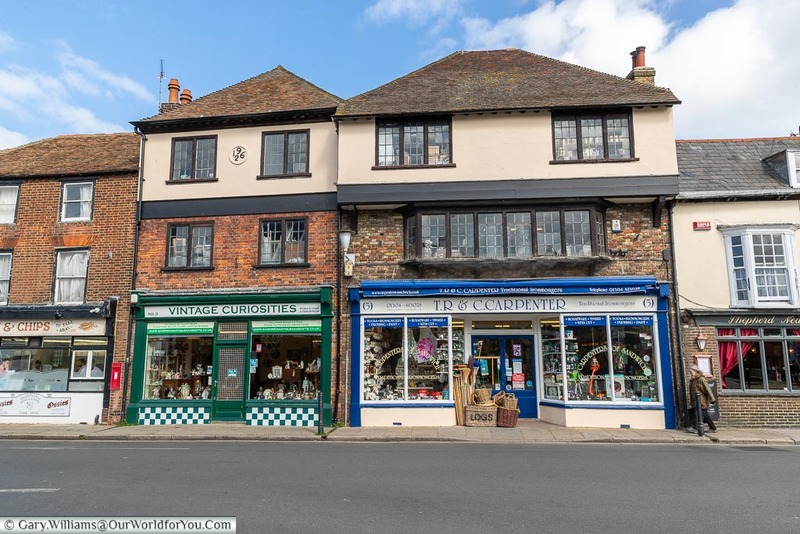 Strand Street which runs parallel with the River Stour is once again lined with half-timbered buildings, immaculately kept homes and little independent shops & cafés. At the Kings Lodging along here, it is purported that King Henry VIII stayed and latterly Elizabeth I.
I know it’s a bit of a cliché, but it was like stepping back in time. There didn’t appear to be one home or building that looked out of place from centuries gone by. We got such a warm and friendly feel from the place, on 3 or 4 occasions people in their cars stopped in the road to lets us take photos or video. 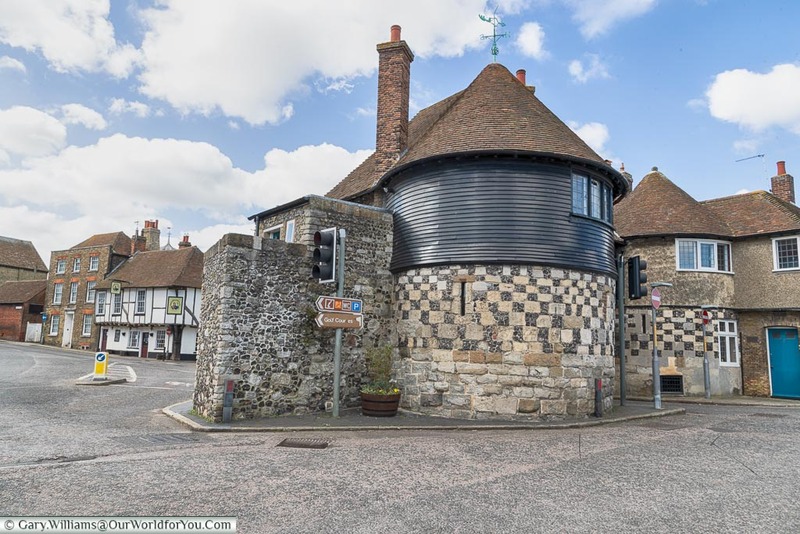 Sandwich was once a walled town; it was due to its constant invasion that in 1385 Richard II ordered for it to be protected so; therefore a Bulwark was erected. 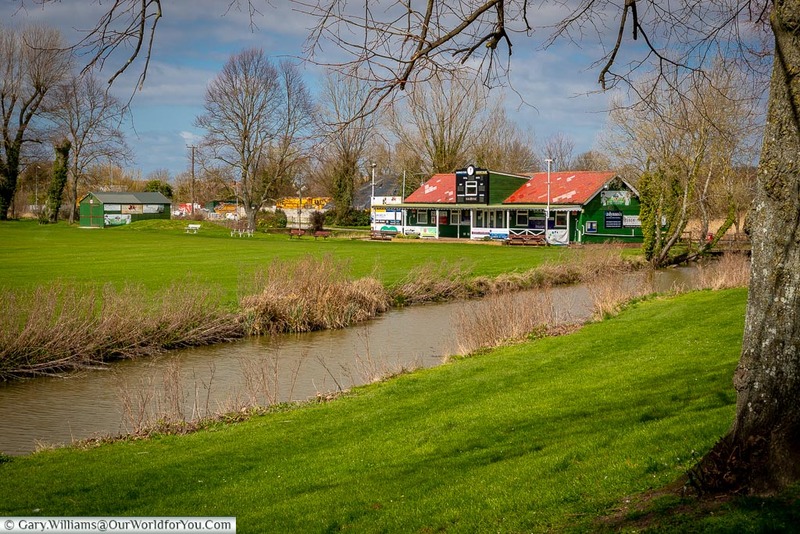 As this was made out of wood, it no longer survives; however, there is pathway along The Butts which you can stroll along by the River Delf, passing by the cricket pavilion. 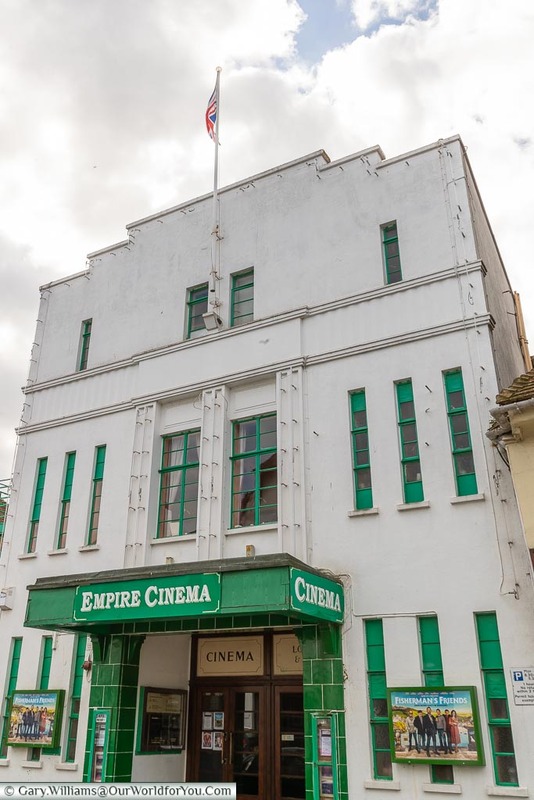 We head into town passing by the Art Deco Empire Cinema, and it’s great to see it’s still screening the latest releases. So many of the original shopfronts remain, the interiors maybe different but love and care is the aim. 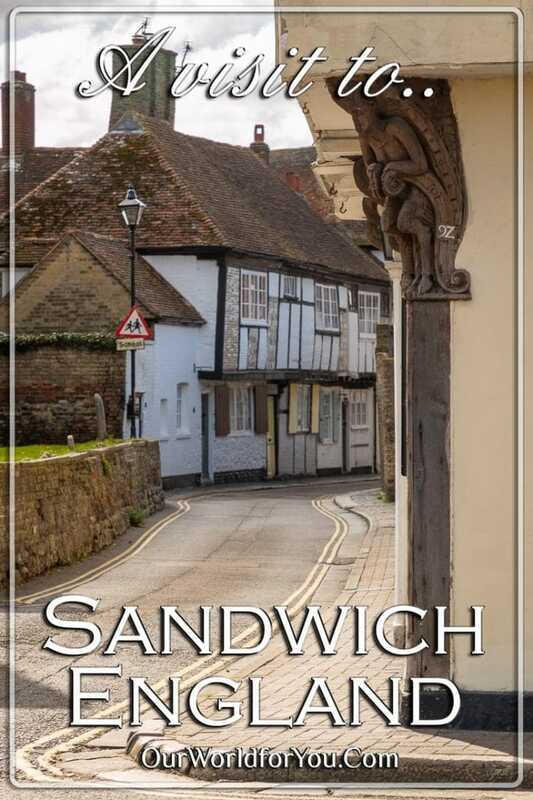 Sandwich Guildhall is what really catches your eye in “The Cattle Market” main square. 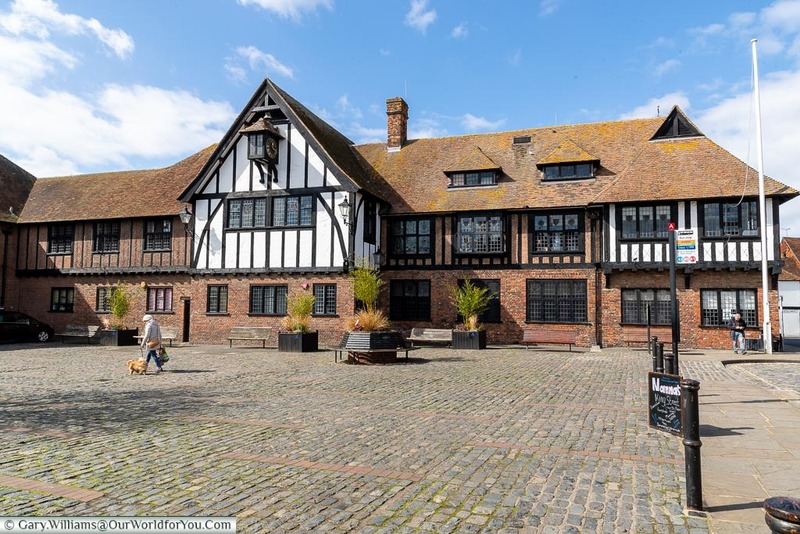 Built in 1579, half-timbered and with stained glass leaded windows, it is now home to the Guildhall Museum. This square is lovely just to sit and watch the world go by. In the town centre is open Wednesday - Sunday from 10:00 to 16:00 and is free. 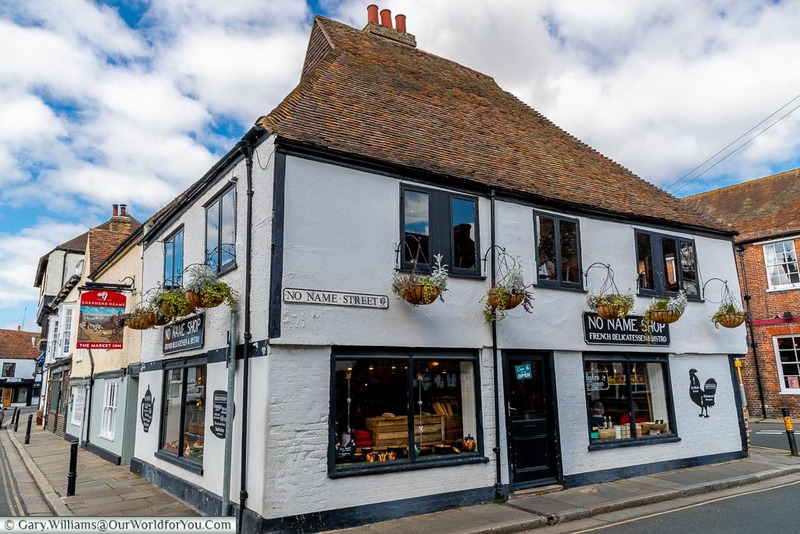 There are so many quirky street names in Sandwich, Holy Ghost Alley, Paradise Row and my favourite No Name Street. 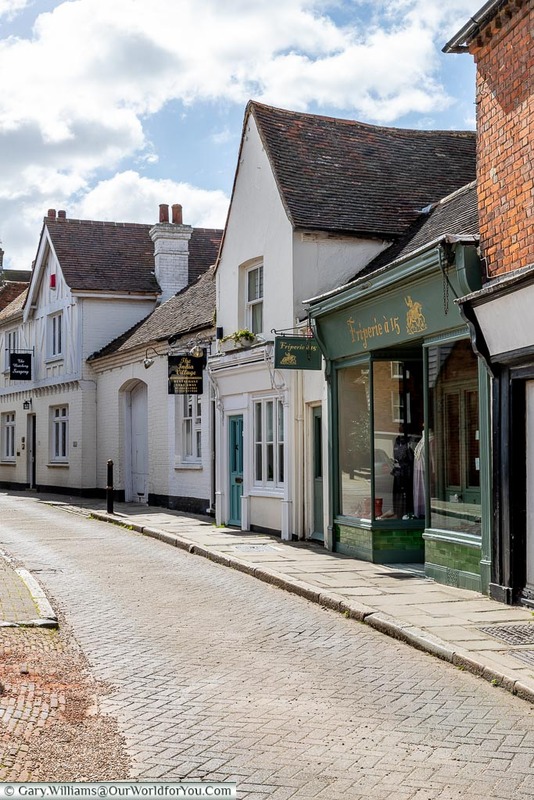 Sandwich’s main focus doesn’t appear to be on just attracting the tourist, there are a few antique and curios shops and a couple of galleries, but the emphasis is definitely on everyday life. I loved the ironmongers and the traditional Roses Garage, catering for all your automotive needs. 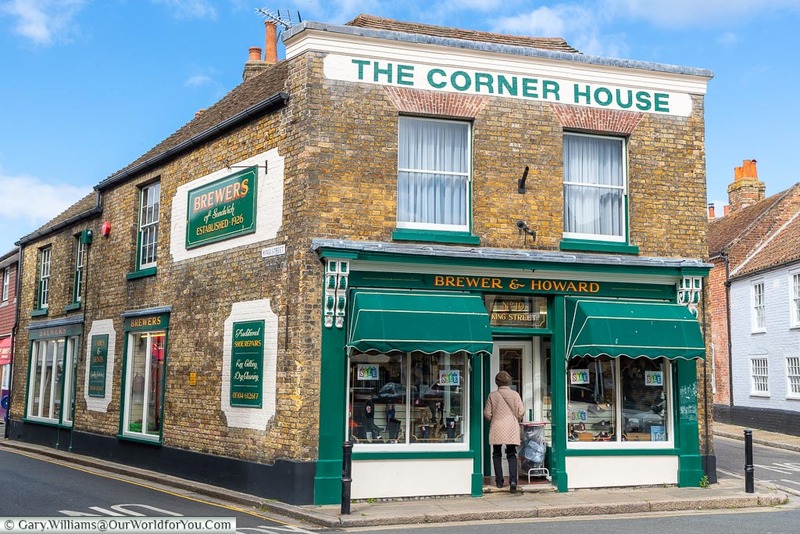 Now, while I say its focus is on the locals, they certainly do not have a shortage of traditional pubs, cafés, restaurants and good old-fashioned fish and chip shops, you’re spoilt for choice. 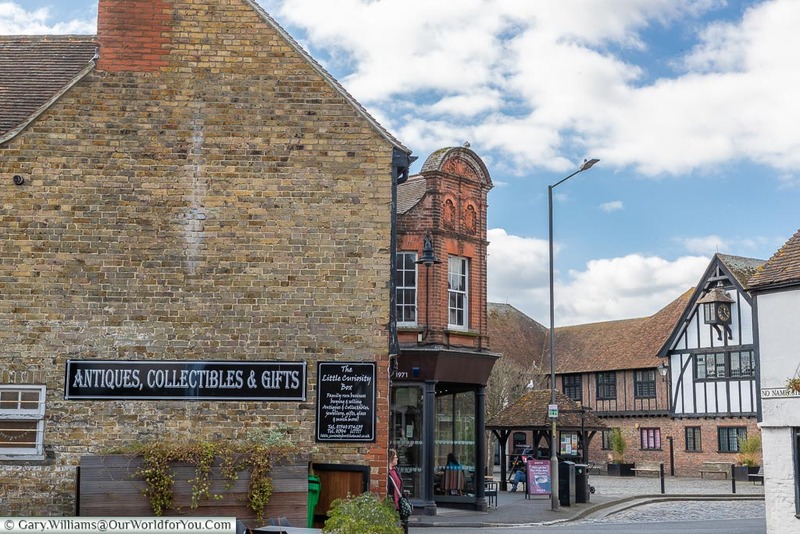 Have you visited any of Kent’s ancient historical towns, drop a comment below to tell us where you enjoyed visiting? There are three churches in the heart of town that we came across, St Clement’s, St Mary’s and St Peter’s. 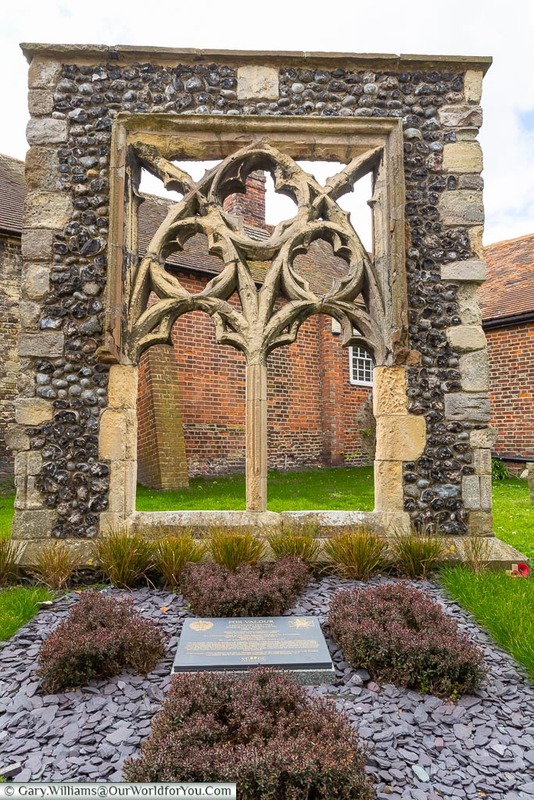 In the churchyard of St Peter’s, it has a memorial dedicated to the Victoria Cross recipient, Augustus Charles Newman. The Curfew Bell is still rung from St Peter’s every evening at 8pm, a signal in Medieval times for everyone to go to bed. Along the street ‘Moat Sole’ are the Almshouses and St Thomas Hospital, which were built in 1392 and named in honour of St Thomas Becket. 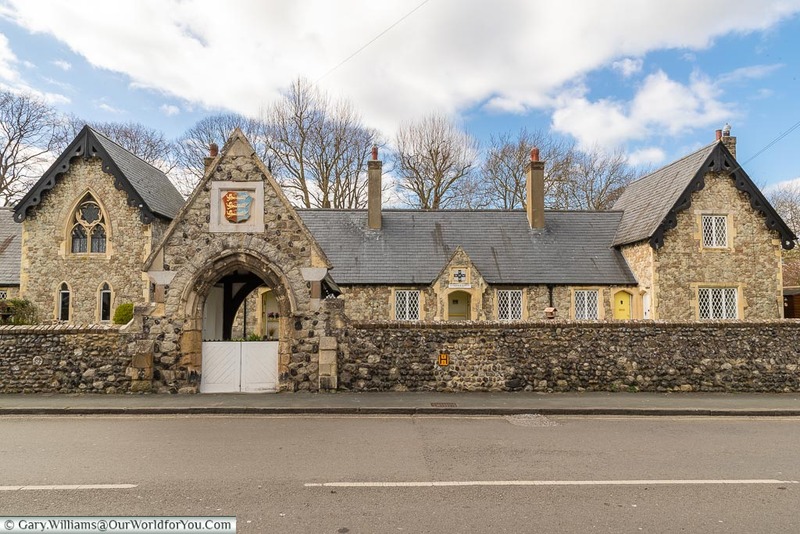 The Almshouses were always offered to the poor, and here 12 people would make this their home. One of Sandwich’s claims to fame is that of the political activist and an inspiration to the Founding Fathers of the United States, Thomas Paine. A Blue plaque marks where Thomas once lived along New Street. One of Thomas Paine’s most significant work was the “Rights of Man” in 1791. I would definitely encourage you to use Sandwich as a base to discover other parts of Kent. 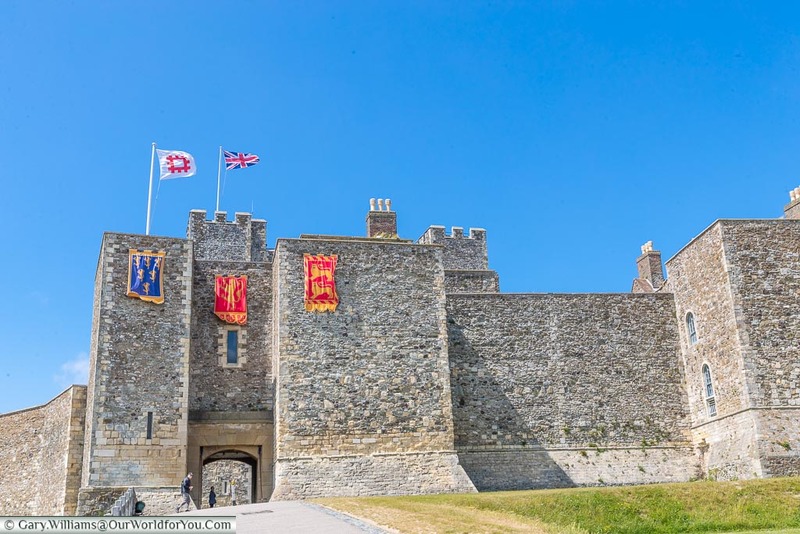 From here you could visit Ramsgate, Margate, Deal, Dover Castle and Canterbury. Most of these towns are also accessible by bus from Sandwich, my parents have first-hand experience of this. If you’re a golfer, then you would have probably heard of Sandwich already, as the Royal St George’s Golf Club is here. They will be hosting The Open Championship in 2020. 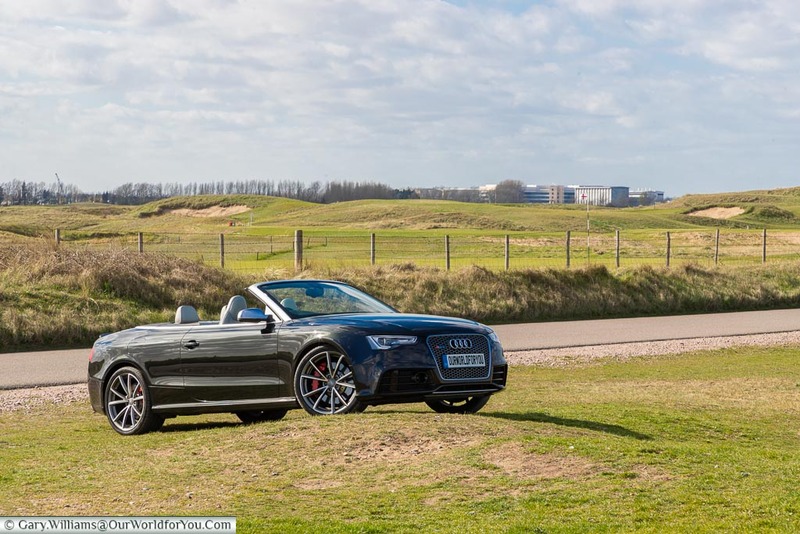 Also nearby is Prince’s Golf Club and the Royal Cinque Ports Golf Club. 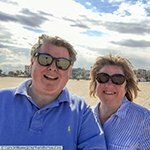 I would say that this region of Kent isn’t renowned for its sandy beaches, unlike the sandy shores of Margate in the north of the county. 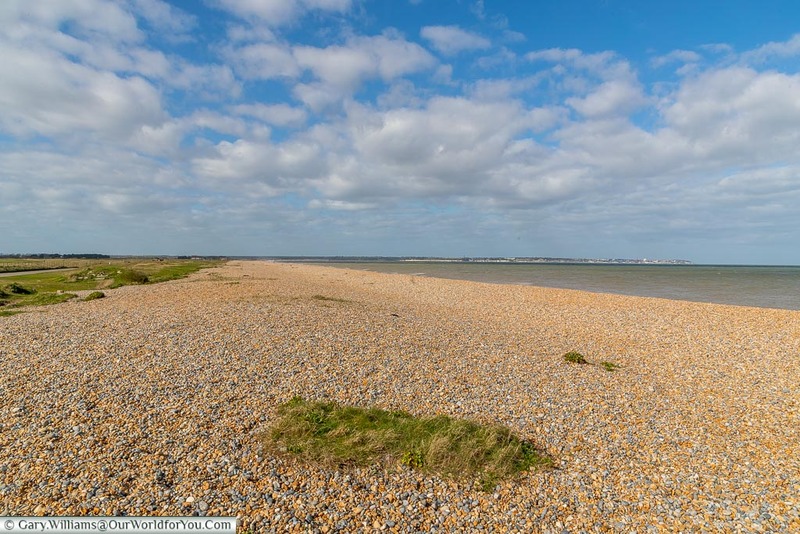 Sandwich Bay is a very pebbly and large pebbles at that, but it’s still a lovely coastline. I appreciate that not everyone has access to a car, although if you have, then head out to catch a shot of this road sign. 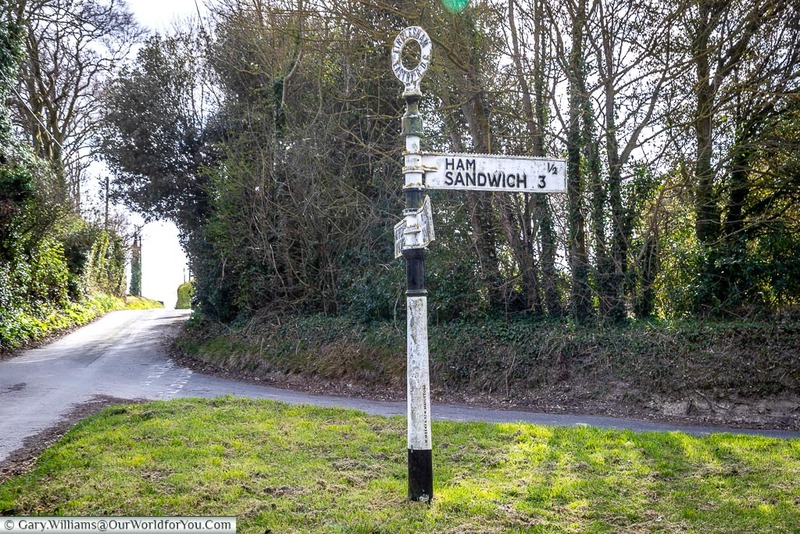 Nearby Sandwich is a hamlet named ‘Ham’, and on this old-fashioned street sign, just on the outskirts of the tiny village of Northbourne, the sign points to both, therefore reading “Ham Sandwich”. 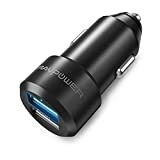 Well ok so, it’s not that funny, but I found it amusing. You can catch a train from London St. Pancras International direct to Sandwich Station, which takes around 1 hour 30 minutes. 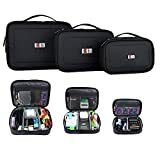 Or alternatively you can do it all on a road trip, the car hire comparison website Carrentals.co.uk covers all budgets and allows you to pick up and drop off at different destinations. 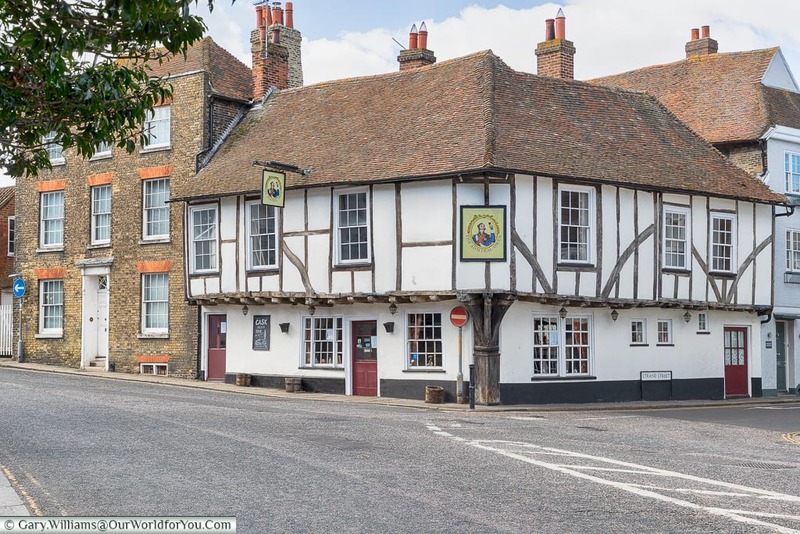 Why not stay overnight and enjoy the locally sourced food and ale, in one of its ancient pubs?